A group gathered before Sunday's Chicago Bears game at the museum campus to protest the Washington Redskin's mascot. CHICAGO (WLS) -- A group gathered before Sunday's Chicago Bears game at the museum campus to protest the Washington Redskin's mascot. 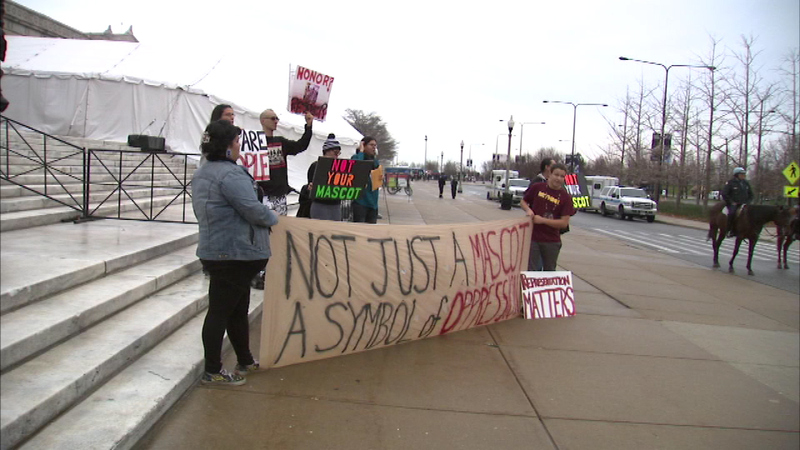 A "Change the Name" rally was held near the Field Museum. Several Native American groups have been pushing the NFL to change the Redskins' team name and mascot.